Karen Hill says during the afternoon of May 14 someone came up to her son Trent's grave and stole 4-5 items that were on display at the Blair Cemetery. A Blair mother says what happened recently is like being stabbed in the heart again. Karen Hill says during the afternoon of May 14 someone came up to her son Trent's grave and stole 4-5 items that were on display at the Blair Cemetery. They include a green cross, stone angel, and a Green Bay Packers gnome which was Trent's favorite team. Hill was 15-years-old when he was killed in a rollover crash in 2014. He wasn't wearing a seat belt. 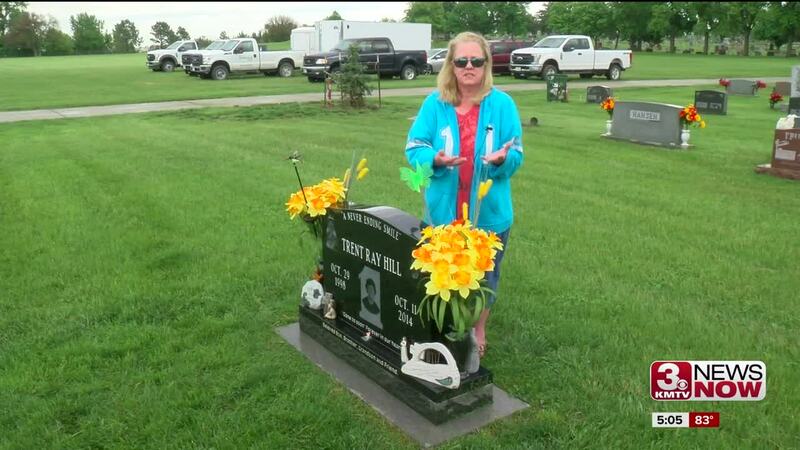 Karen says she visits her son's grave almost everyday, and can't believe someone would take items from his headstone. Karen says another nearby family has experienced similar thefts. The Blair Police Department says they haven't received any police reports on the crimes, but cemeteries can be targets because they're public areas open for long hours. If you have any information on the theft, you can text "CrimeTips" to 274637, or contact them on the "Blair Area Crimestoppers" Facebook page.